Mee Building Solutions - Builder, Driveways/Patios/Paths based in Great Notley, Essex. 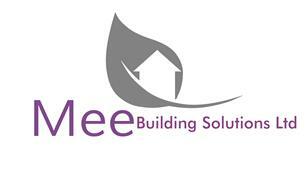 Mee Building Solutions Ltd is a small family run business based in Great Notley, Braintree, Essex. We undertake works in all of Essex and surrounding areas. Mee Building Solutions Ltd has been trading for a year now but has over 16 years experience in all aspects of driveways, patios, landscaping and groundworks including senior managment. We pride our work on attention to detail and will not settle for anything less from our work than as close as we can get to perfection. Mee speacilises in Hard Landscaping and Groundworks - Driveways, Patios, Footpaths, Steps, Sleeper walls, Brickwork walls, Decking, Fencing, Artifical grass, Turf, Garden lanscaping and designs, Foundations, Drainage. Mee prides its self on attention to detail and making sure that not only you, the customer is 100% happy with our work but also ourselves too.